As a high school athlete, there is nothing more thrilling than hearing your fellow students roar as you score the winning touchdown, goal, kill or basket. Being an athlete means challenging your body both mentally and physically. And there’s nothing more discouraging than being sidelined by an injury, and missing out on the excitement and the memories that last a lifetime. While all sports have a risk of injury, even if kids are playing it safe, there are ways to reduce the likelihood of injury on the field or the court. 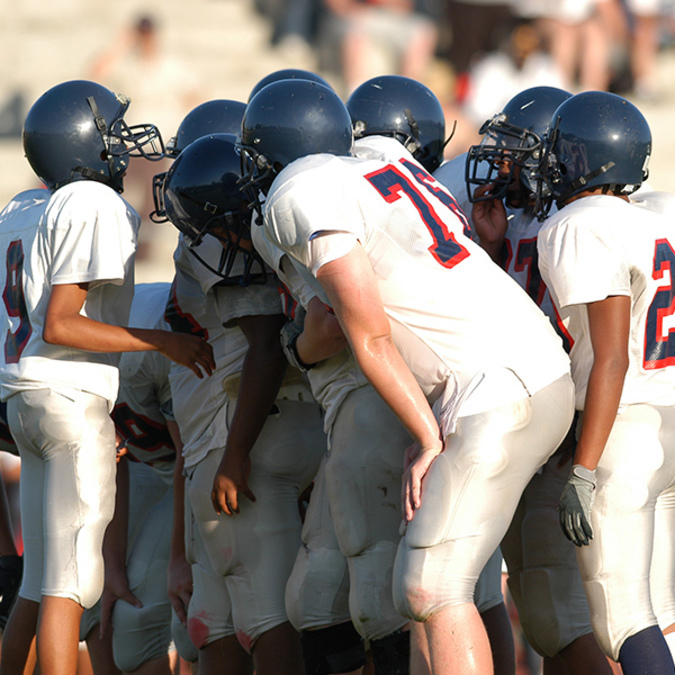 Ken Rushford, an athletic trainer with TriHealth Sports Medicine , stationed at St. Xavier High School in Cincinnati, shared six tips for high school athletes and their parents to consider to prevent injury and enjoy success in their sport. TriHealth Sports Medicine is a service of TriHealth Orthopedic & Sports Institute . Rushford says proper nutrition is one of the best ways athletes can prevent injury. Rushford said he and his fellow athletic trainers help students determine the “premium or optimum” fuel for success, pointing out that “nutrition before and nutrition after” the game or practice are both important. He recommended athletes eat a well-rounded or well-balanced meal about four hours before a competition, with a mix of 40 percent carbohydrates, 30 percent proteins and 30 percent fats. Without proper nutrition, Rushford said athletes will feel sluggish and fatigued during competition and can even develop stress reactions or stress fractures when the bones aren’t receiving proper nutrition. Rushford said they work to ensure athletes properly warm up, stretch and cool down to increase performance and avoid injury. According to the American Academy of Pediatrics (AAP), athletes should incorporate stretching into their daily fitness plans to increase flexibility to help prevent injury. A postgame or post-practice cool down is also vital to help sore joints and muscles recover. Athletes increase their risk of injury when they don’t know the rules of their sports. “If you’re in soccer, know how to properly slide tackle, in football know how to correctly form tackle and avoid spearing someone.,” said Rushford. “Knowing the rules and how to protect yourself from injury is important.” If you know the rules, follow them and play safe to protect yourself and others from injury. Whether it’s the right helmet, guards, pads, mouthpieces or eyewear, Rushford said it’s important that athletes are always equipped with the right protective gear for their sport. The gear should be properly sized and fitted to do the job of protecting the athlete. And, even with the right gear, the AAP warns that young athletes should not assume they are invincible to all injury with protective equipment, and they should be careful to avoid risky or dangerous activities. One of the biggest challenges for a high school athlete, Rushford said, is choosing to sit it out and recover instead of playing through an injury. Rushford said athletes should know the difference between being hurt, the normal muscle soreness and aches, and pains that come with playing sports, and being injured, which is when an athlete is physically not able to play or perform. While athletes can push through soreness and aches with the right nutrition and conditioning, playing through an injury can only cause further injury to an athlete or their teammates and should be avoided. Rushford says athletes can avoid injury that comes from overuse by having regular rest and recovery days. Finally, Rushford said athletes can be more susceptible to injuries when they aren’t properly conditioned or physically prepared for their sports. Students should be prepared with strength training and preseason workouts to properly prepare for practice and to come out on game day and compete. When injury does occur, athletes should visit a physical therapist , athletic trainer or other health care professional to get the proper care they need to heal and get back in the game. For more information, visit Trihealth.com or call 513 569 1900.